Do you want a secret advantage over your competition? Would you like to hear directly from industry experts… without spending a lot of money? Now you can..
With the advent of self publishing and the ease of publishing to the Amazon Kindle eBook format, many business leaders and entrepreneurs are bypassing traditional publishers and uploading their books direct to the Kindle Marketplace. Many of these books are low cost and some are even free. The great news… the e-book format lends itself to shorter works, so many of the books are directly to the point and the fluff and filler is left behind. Over the past few months I’ve found a treasure trove of cheap Kindle ebooks that are priced at $2.99 to $5.99 and are more centrally targeted than their traditionally printed counterparts. Most of these books I’ve been able to read in under two hours. Many are shorter, which can be read… and applied in an hour or less. Each one of these books was read and devoured quickly. The quality of the material is superb, and with the Kindle format, I can read the books on my iPad, computer and even my cell phone. The big takeaway is to read the reviews and target the niches that you are interested in. 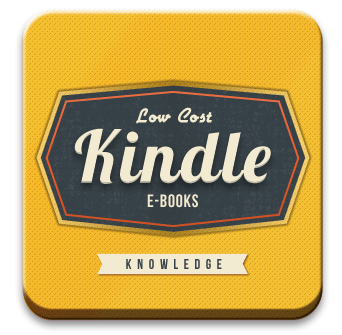 With Kindle books you don’t have to spend a fortune to find the information you need. And Kindle books can provide hours of enjoyable reading. Some are actually free. Need a reader? The new HD Kindle Fire makes a great gift! Question: What are your favorite low cost Kindle books?